VT-EtSRC highly recommends for someone who already have your own audio and enjoying vinyl records. 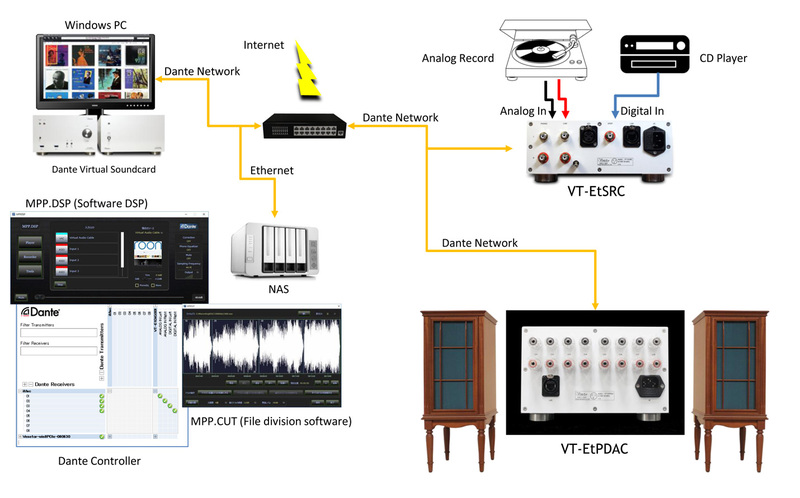 VT-EtSRC is an audio I/F that captures input signal of analog audio or digital audio through LAN cable to Dante Network. 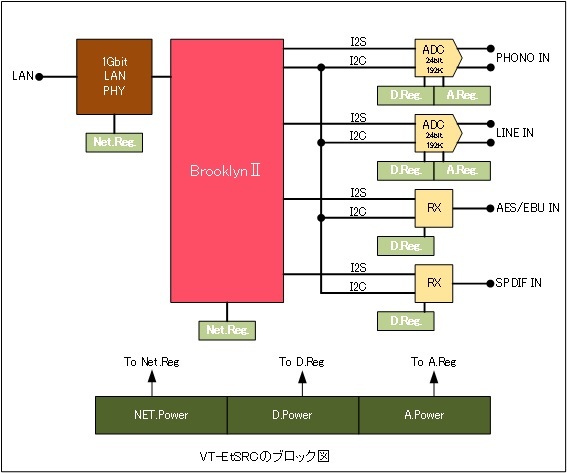 Use with the audio like VT-EtDAC or VT-EtPDAC, that has no output. You don’t need any expensive net-work players that the audio magazines recommend. This VT-EtSRC can replace all these products using LAN(Dante Virtual Soundcard) with inexpensive price and provides cutting-edge net-audio. Analog input is PHONO (MM cartridge signal level)(If it’s MC, through trance or head AMP input) and LINE level with the ability to input through the outstanding equalizer (EQ) and equipped AD converter individually. Your vinyl records are ripped and bundled-automatic-separating APP that enable to separates the after ripping music to each file like CDs’. The bibliography will be attached to each tune, based on the tags, after automatically separate. Using included soft wear MPP.DSPs’ Digital-phono-equalizer enable to select the best EQ and listening and recording the SP or 10inch LP or old analog records. Also enable to receive digital audio signals from AES/EBU and SPDIF. It equipped two latest AD converters for Hi-End Mobile Recorder. It is reliably record and playback your precious music library.